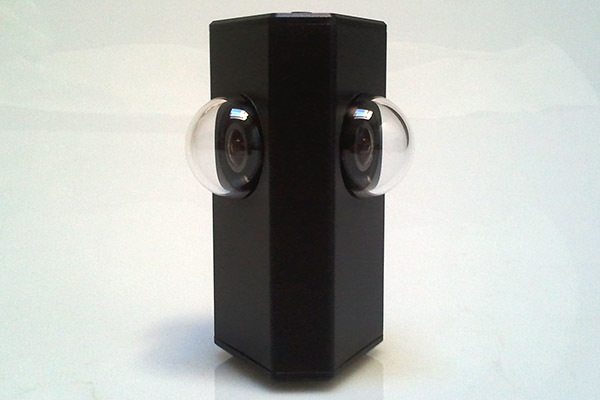 Videopanoramas camera is a device with multiple image sensors to capture single pictures or videos with 360 degrees of field of view. The captured image is a projection of everything around the camera. 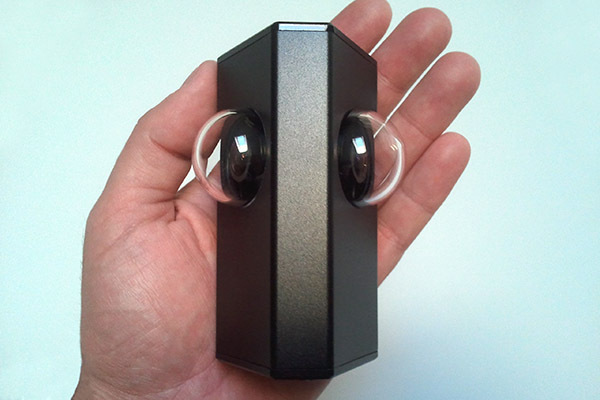 This device can be used as portable capturing system, or installed as surveillance camera. 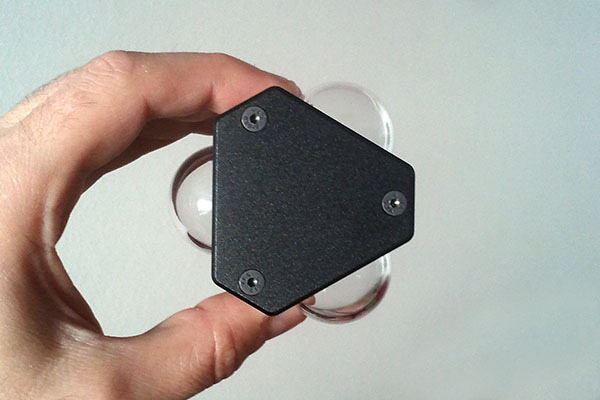 Videopanoramas camera is composed by several image sensors fitted with wide angle lenses. 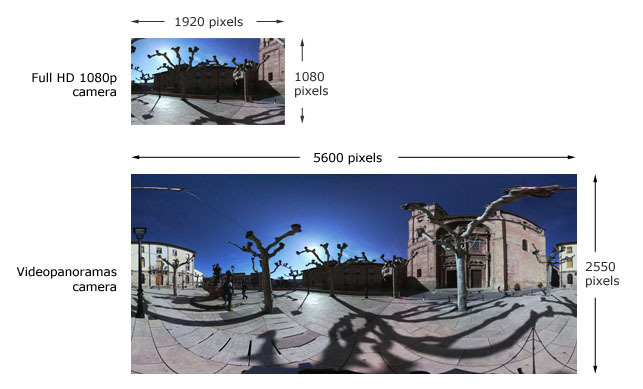 The camera joins together the images from each sensor and produces automatically an output image of 360 x 162 degrees. 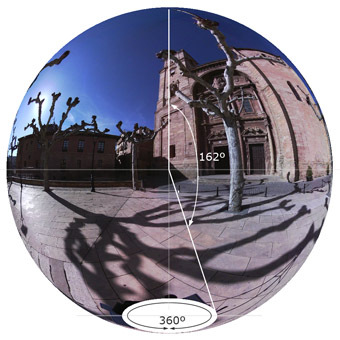 The resulting image covers the 95% of the whole spherical view. This is a comparison between the image captured with a Full HD 1080p camera versus an image captured with Videopanoramas camera. 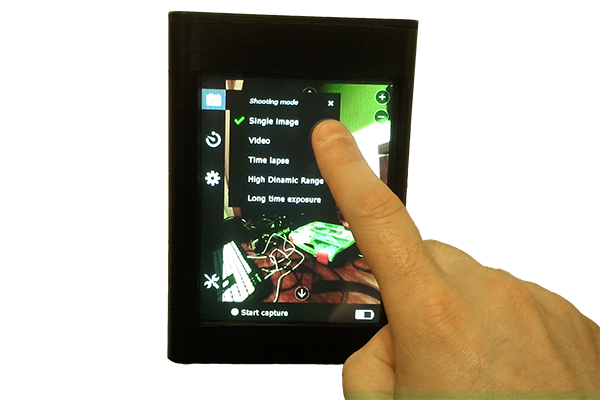 It is notable that the Videopanoramas camera resolution is seven times greater than Full HD resolution.